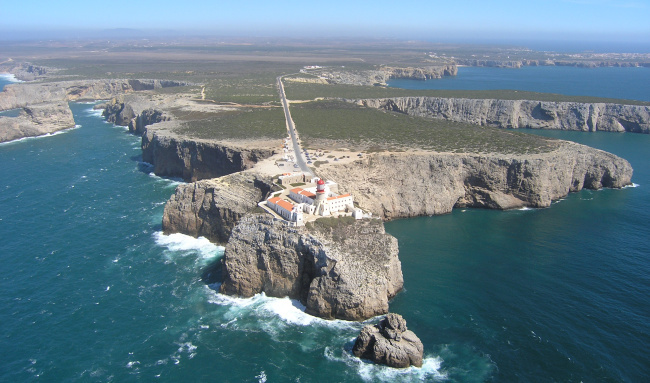 The Cult of St. Vincent The history and myths of Sagres are closely linked to this area which, for centuries, was the most distant point of the known world – known as Cape St. Vincent. It is shrouded in an aura of mystery and awe that the sea and wild vegetation enhance. To this day, this cape has a strong mystical appeal. Climbing up to the promontory to consult the gods and fulfil vows was an essential act for any local sailors that ventured out to sea, thought to be inhabited by terrifying monsters. It was here that Prince Henry the Navigator founded a maritime school that would contribute to the discovery of the unknown world. It was here that the phenomenon of globalisation began.